Where do you use RCA male to male cable.? I am sure you recognize the cable here, a connector actually that transports music from one device to another. We all use it to connect external woofers to our music system. 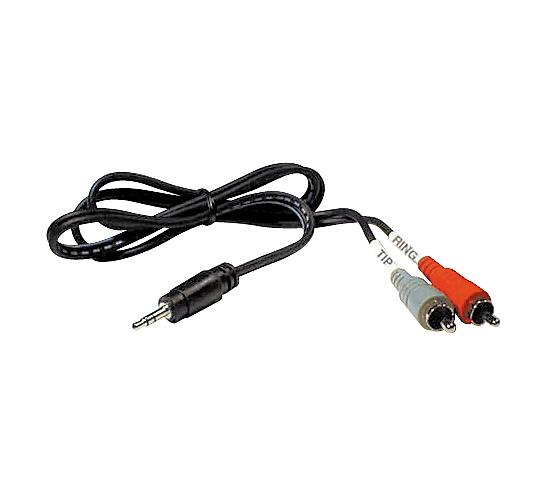 Of course there are several others uses for this rca male to male cable but the most commonly used instances are to connect it to MP3 player, external speakers or even an iPod. Last year when I relocated to a new city, I lost this connector. When I approached the salesman of a nearby electronic shop, I explained what I was looking for. He asked me, “Do you want this rca male to male cable”? I suppressed my laugh on hearing the name of the cable and nodded at the cable he was showing to me. When I returned back to my home, I rushed to my computer to look for the reason for the strange name ‘male to male’ cable connector. This time, I did not suppress my laughter. BTW, the expansion for RCA is American Radio Corporation. If you want to laugh, do a search for “male to male cable” in the Internet.